Al Davis just wanted to win. Al Davis was the former owner of the Oakland Raiders in the NFL. Later in life he took a lot of heat for making curious decisions such as giving players contracts that were perhaps too large for their ability. He also made some draft picks in his later years that didn’t turn out well. But if you look at the entirety of his career, Al Davis is pretty inspirational in a few ways. Al Davis cared about winning. He cared about success and he was willing to go against the norm to do it. Al Davis probably didn’t set out to be a champion of diversity in the United States, but that’s exactly what he became. This is a great article about Al Davis. 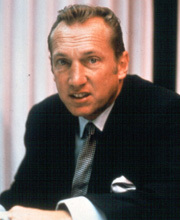 In the mid 1960s, Al Davis became the commissioner of the AFL. He didn’t care much for segregation and had the AFL’s all star game moved from New Orleans, a segregated city, to Houston. But things really got interesting in the late 1960s and 1970s when Al Davis became the general manager of the Raiders. He made it his purpose to find the best football players no matter what the prejudices of the time were. That meant scouting all players including those from African American colleges and university. It seems crazy now, but back then most or all NFL teams didn’t pay attention to black football players. He went on to hire the first African American quarterback. He hired the first Latin American head coach. He hired the first female executive and he hired the first African American head coach. Al Davis was all about winning and he succeeded by winning three Super Bowls (1977, 1981 and 1983). The team also had a good run in the early 2000s and they’re coming back today. There is prejudice everywhere in the world. It seems to be part of human nature and the way we make sense of the world. The issue is that we go too far sometimes. So it’s not a pleasant part of the world, but it is reality. However, if you’re aware of prejudice you can find opportunity where prejudice exists. Just like Al Davis, you can look in places that others ignore. They ignore on purpose and you can dive in and often find a plethora of opportunity. There has been a lot of talk about the lack of women in technology the last few years. There is blame to go around, but it’s not productive to focus on the blame. Instead, focus on what you control and that is the opportunity where there is prejudice. Rand Fishkin of Moz, along with many others in the company, have taken to the the prejudice against women in tech in recent years. The company has taken a stance to increase women speakers at its annual Mozcon event. And the results have been wonderful according to those that attend. Where other events ignore women speakers, Moz not only made their own event more diverse, but now they’re seen as having a superior event. When others had prejudice, there was opportunity. There is no good reason to leave out half of the population from something like an industry event. Moz recognized this and they are benefitting. It’ll be interesting to see how long it takes for others to follow. I’m definitely not saying that I’m good when it comes to prejudice. I’m as much of a human as anyone. That means that my nature puts things into containers and I know I have prejudices. But I try to look for opportunity. At Ghost Blog Writers, we try to look for the best bloggers. Location, background, etc. don’t matter. If you fit in with our core values and our core purpose then you’re welcome on the team. Those are really the only requirements. But it could go a step further. It seems like those that are most successful in the world including business are able to identify their own prejudices and those in their industry and in other areas. They see what or who is being ignored and they purposely seek out those areas and find opportunity. Al Davis did this in the ’60s and ’70s. He said, you know what, I don’t care what other people think. We’re going to find the best players and we’re going to win. Let them all ignore. Better for us. Moz is doing this with their efforts in the tech world. They’re seeing positives and until others follow they’ll have a head start and should make gains. Where is the prejudice in your world? Where is the opportunity?